Book select 2011 season Adventures by Disney vacations through December 31, 2010 and receive a Flip video camcorder. Travel to the world’s most magical places. When you vacation with Adventures by Disney, the magic travels with you. Our guided group vacations are the best way for your family to experience the world’s most intriguing destinations on six continents – including NEW Egypt vacations. Give your family the world. With Adventures by Disney, you’ll become part of the places you visit and connect to the people through authentic, immersive experiences. Each tour includes two Disney-trained Adventure Guides who will bring you closer to each place with their knowledge and knack for storytelling. By the end of your vacation, you’ll feel like they’ve become a part of the family. As you’d expect from Disney, our vacations include special behind-the-scenes access, exclusive opportunities and more. And we take care of every detail, so you’re free to enjoy your vacation and your family. VIP Experiences â€” You’ll enjoy privately guided tours, backstage access, special performances and the opportunity to bypass lines at popular attractions. Events & Activities â€” We provide immersive cultural experiences with local experts, interaction with historical characters and Junior Adventurer activities just for kids. Dining and Resorts â€” Your family will stay in top accommodations, with most meals, taxes and gratuities included. Movie night for the kids and adult dining experiences with wine tastings will also be offered. Hassle-Free Travel â€” Your vacation will include airport meet and greets, transfers to/from hotels, transportation (flights, trains, etc.) and luggage service. A concierge service will help plan your free time. 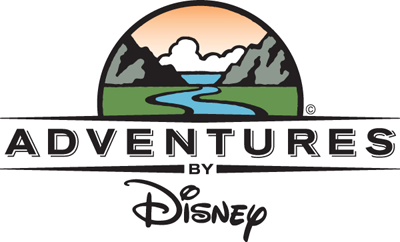 For more information about Adventures by Disney, or to book an adventure and receive your free video camera, please contact our great sponsors over at Mouse Guides, the experts on Adventures by Disney.